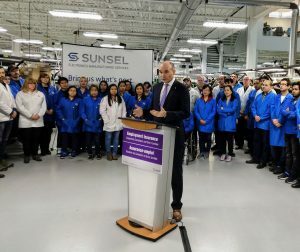 Sunsel was excited to have The Honorable Jean-Yves Duclos, Minister of Families, visit our state-of-the-art facility and use it for his announcement regarding the reduction of the Employment Insurance waiting period. 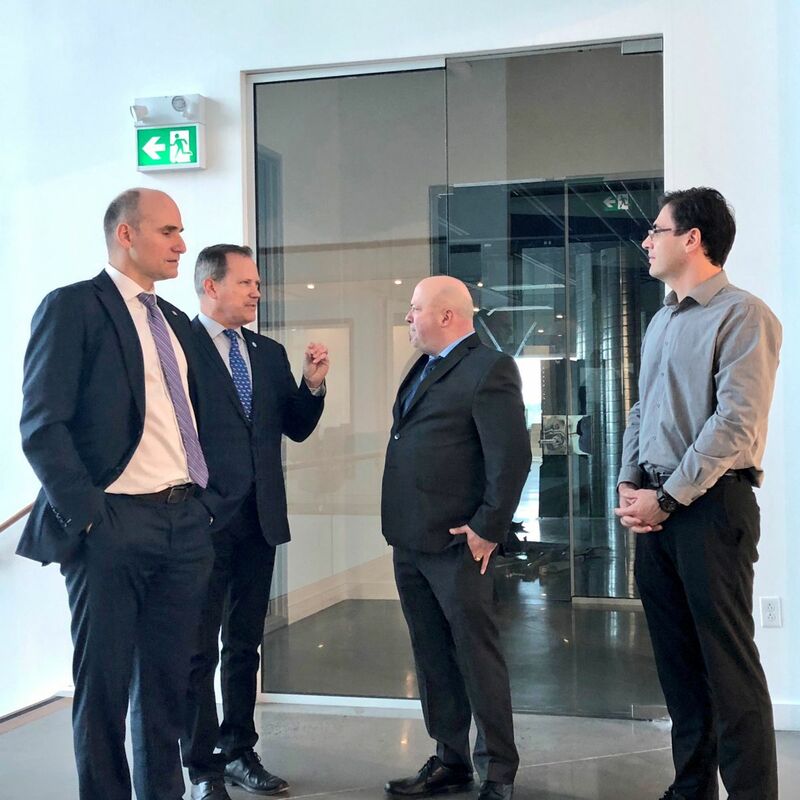 This is just one part of the Government of Canada’s recent actions to provide workers, parents and caregivers with more flexible, inclusive and easier to access EI benefits. Minister Duclos was met by Julian Taylor and Jeff Levy, the owners, and David Rae, the General Manager. The minister participated in a tour and even tried his hand at soldering a circuit board. 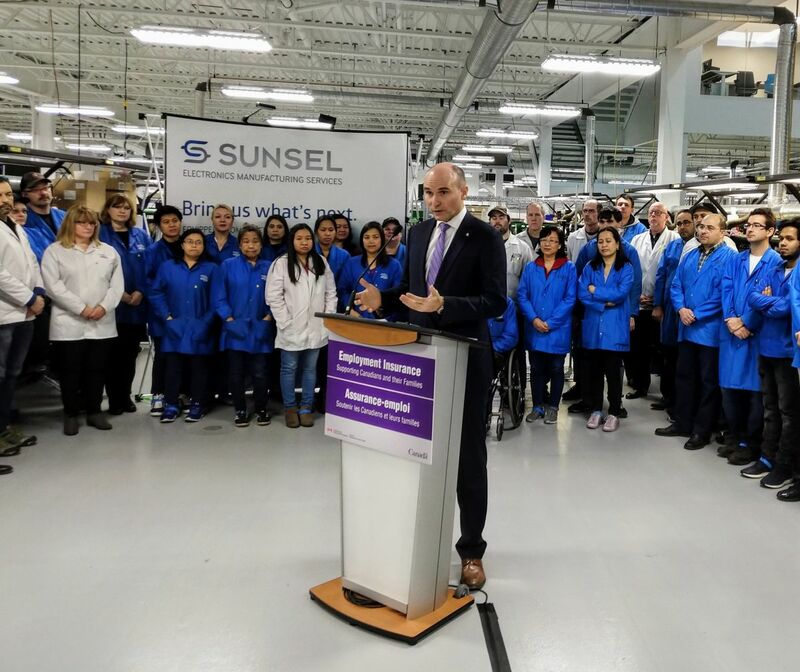 Sunsel provides cutting edge electronic assembly, including PCB and system assemblies, for multiple markets using state of the art equipment, and state-of-the-art expertise across Canada and the United States.